Queen Anne enlarged the gardens by another 30 acres and created an English garden. 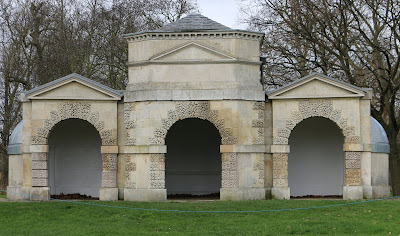 She also added the orangery and built a hermitage in the gardens. 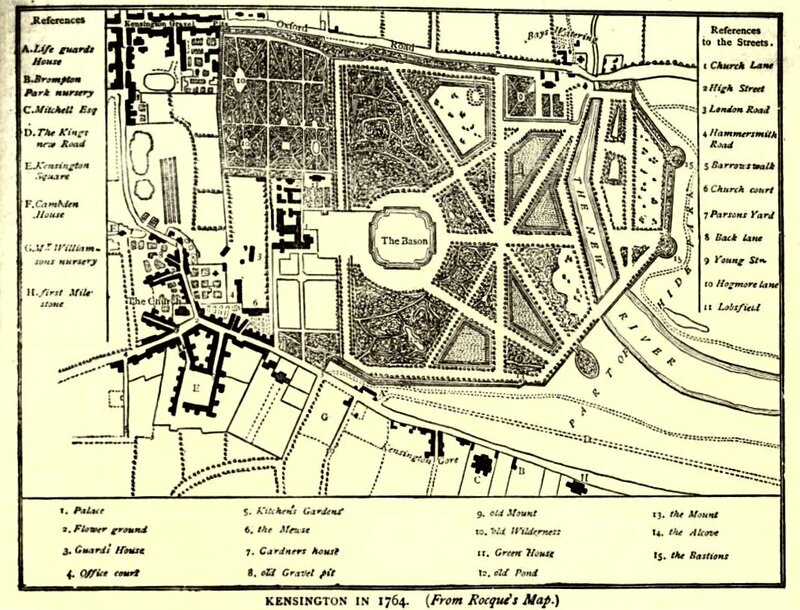 In 1728, Queen Caroline, wife of George II, took another 200 acres out of Hyde Park to further enlarge Kensington Gardens. She employed Charles Bridgeman to redesign the gardens. 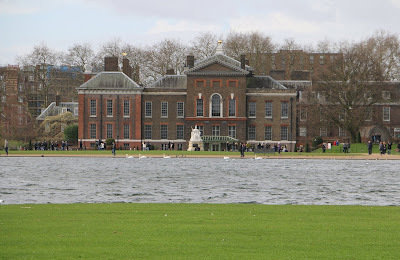 He dug the Round Pond in front of Kensington Palace and dammed the River Westbourne to create the Serpentine, which spanned both Kensington Gardens and Hyde Park. 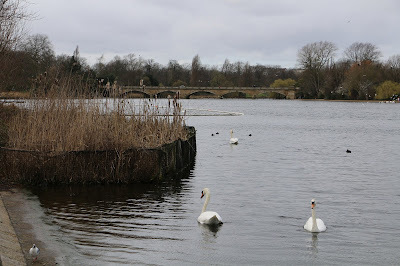 The part of the Serpentine in Kensington Gardens became known as the Long Water. Queen Caroline’s Temple was built in the gardens, not far from the Long Water. 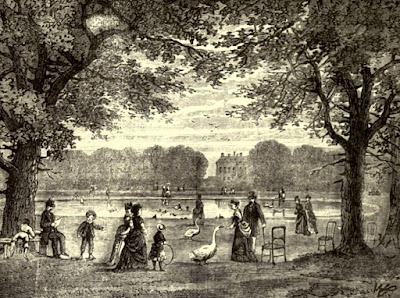 Kensington Gardens were separated from Hyde Park by a long ditch, known as a ha-ha, which divided the two parks without interrupting the view of the landscape with a high wall or fence. Ha-has were widely copied around the country. 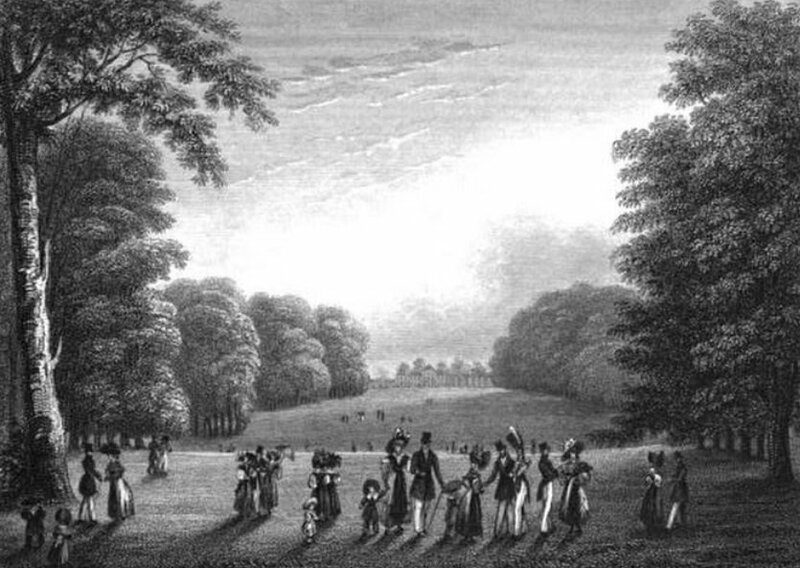 Queen Caroline’s gardens were opened to the public on Saturdays when the king and his court were at Richmond, but presumably only those of the highest classes of society came, as visitors were required to wear full dress. 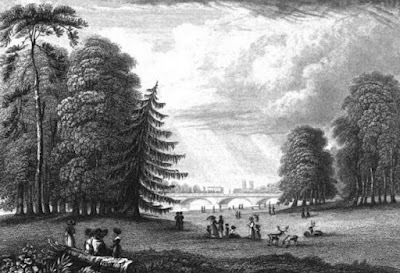 These gardens join the western extremity of Hyde Park, to which they give a very fine effect; as the park on that side appears, from the noble foliage of the gardens, to terminate in an extensive wood. 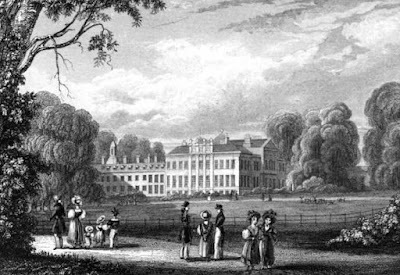 The disposition of the grounds, though far from the present refinement in gardening, abounds too much with strait walks and lines, yet it possesses great beauty and grandeur. These gardens were improved by the celebrated Brown. 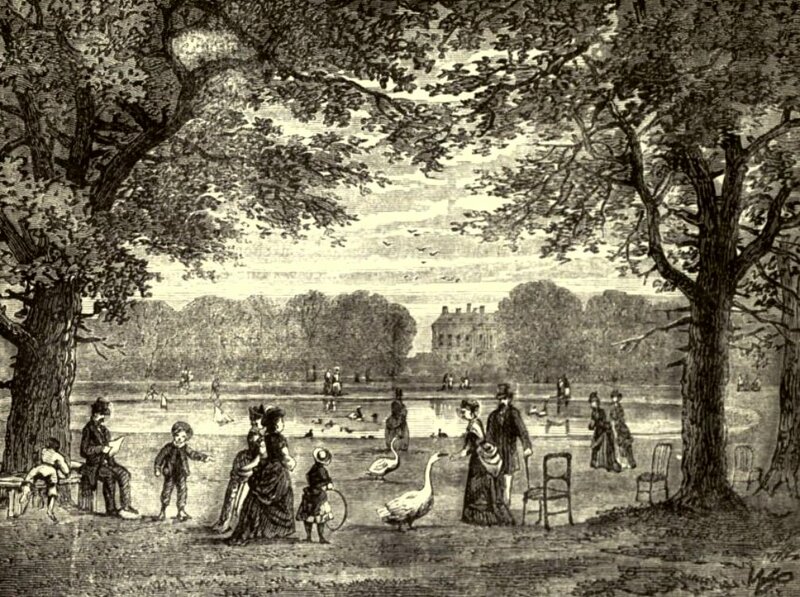 When Queen Victoria established her court at Buckingham Palace, Kensington Gardens went out of fashion. The ha-ha was largely filled in and Kensington Gardens were separated from Hyde Park by the West Carriage Drive instead. • A statue of Queen Victoria, sculpted by her daughter Princess Louise, which was erected outside Kensington Palace to celebrate her golden jubilee. • The Albert Memorial, in remembrance of Prince Albert, Queen Victoria’s husband. • Diana, Princess of Wales, Memorial Playground. 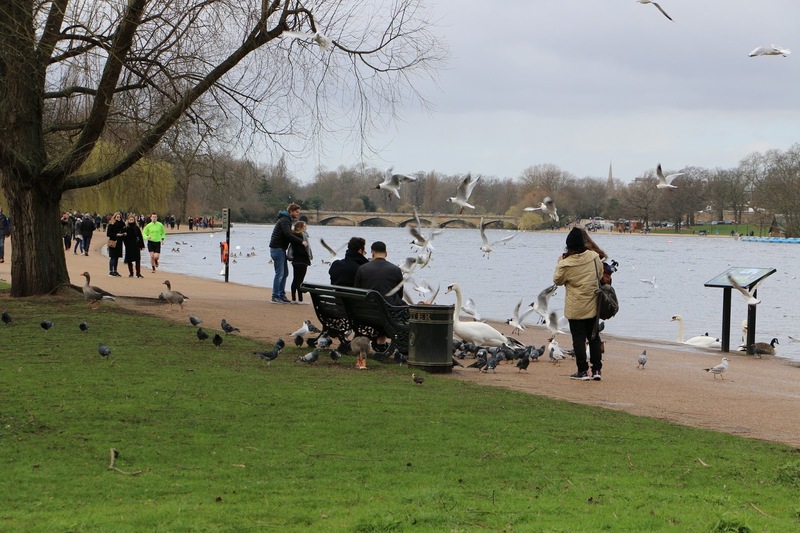 Kensington Gardens are open to the public throughout the year, from 6 am to dusk. More information on the Royal Parks website. 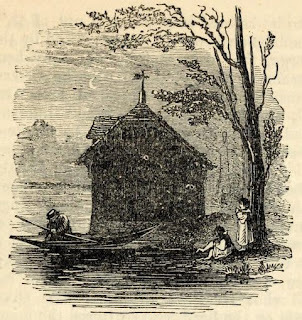 (1) Walford, Edward, Old and New London: A narrative of its history, its people, and its places (Cassell, Petter & Galpin, 1873, London) Vol 5. 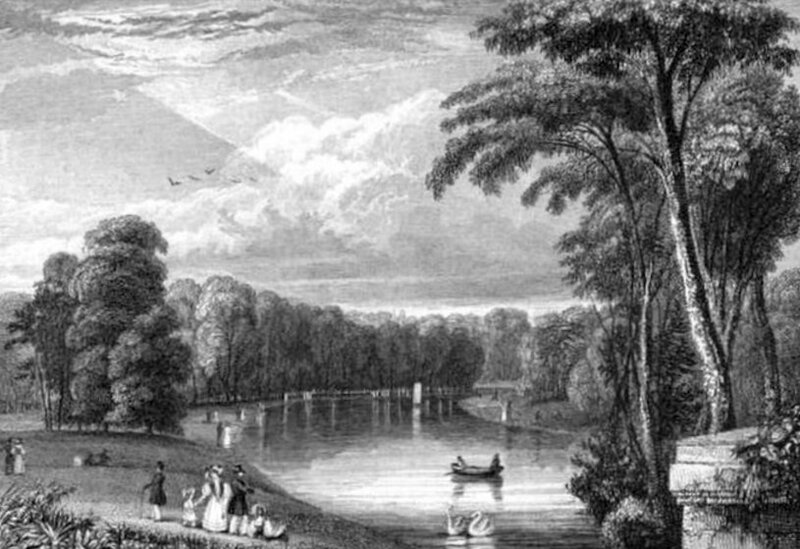 (3) Sargeant, John, Views in Kensington Gardens (1831). (5) Feltham, John, The Picture of London for 1810 (1810). (7) Feltham, John, The Picture of London for 1813 (1813). (9) Feltham, John, The Picture of London for 1813 (1813). (10) Austen, Jane, The Letters of Jane Austen selected from the compilation of her great nephew, Edward, Lord Bradbourne ed Sarah Woolsey (1892). 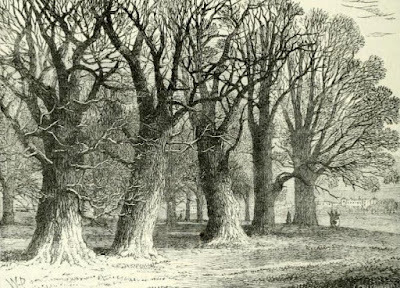 (11) Feltham, John, The Picture of London for 1810 (1810). 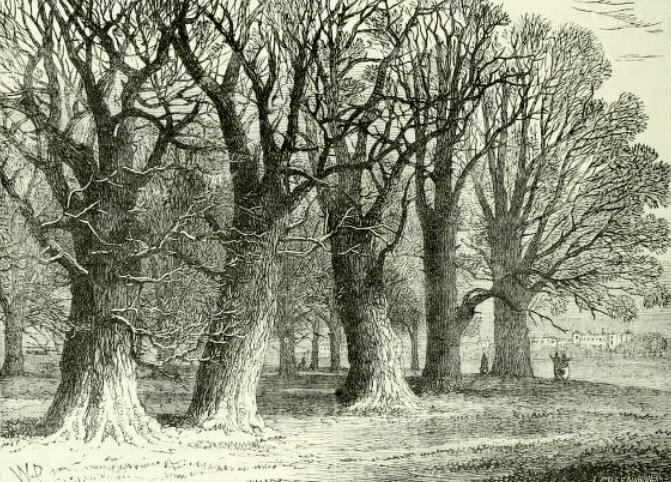 The land on which Hyde Park lies originally belonged to Westminster Abbey and was acquired by Henry VIII at the time of the Reformation. He enclosed the land and stocked it with deer to form a private hunting ground. 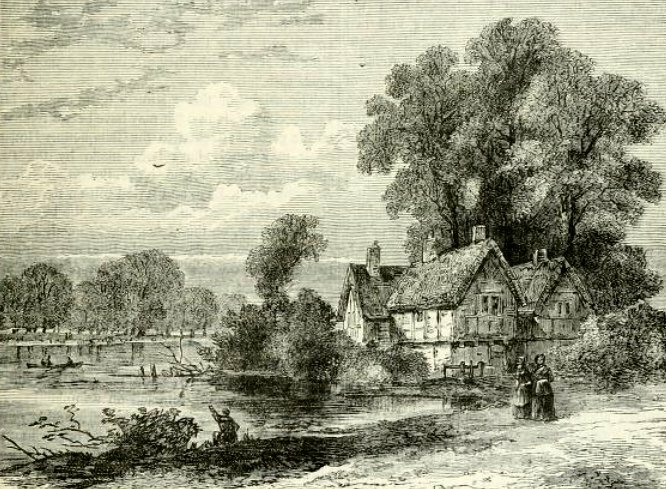 Charles I first opened the park to the public in 1637. He created the Ring where members of the royal court could drive their carriages. During the English Civil War, it was sold off in lots, but the crown reacquired the land after the Restoration. The park was reforested and restocked with deer and enclosed with a brick wall. During the Great Plague of 1665, large numbers of poor people who could not escape the city camped out in Hyde Park in an effort to avoid catching the disease. In 1689, William and Mary bought Kensington Palace, on the western edge of Hyde Park, and made it their London residence. 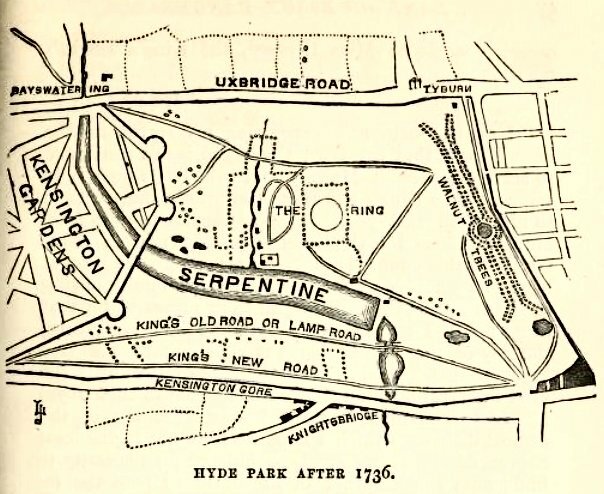 The king created a direct route through Hyde Park to his new palace and lit it with 300 oil lamps. 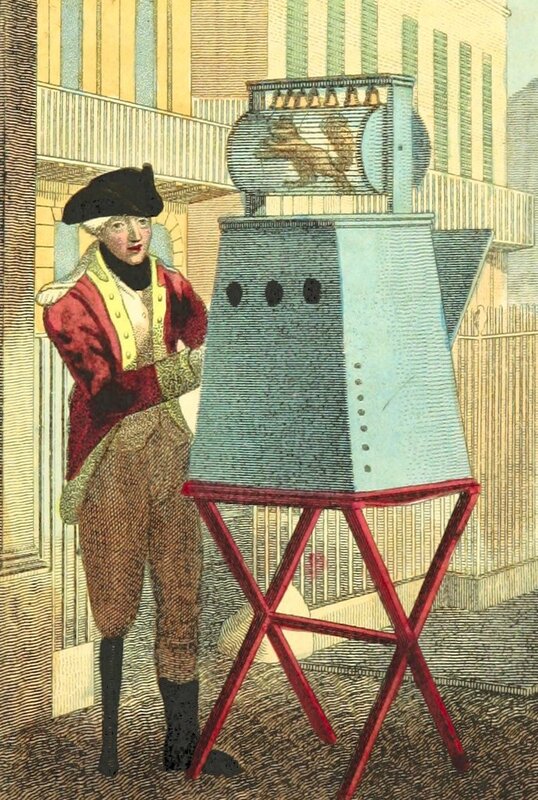 This was known as the King’s Road, and was the first artificially lit roadway in England. 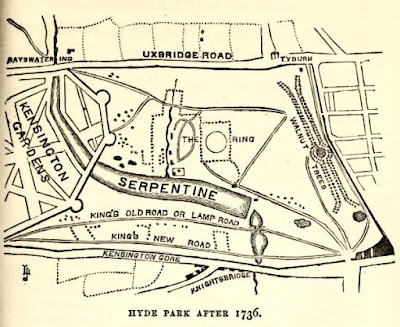 During the reign of George II, Hyde Park changed dramatically. 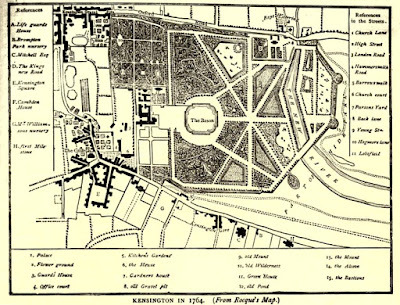 Some 200 acres were added to Kensington Gardens and Queen Caroline employed Charles Bridgeman to help redesign the parks. 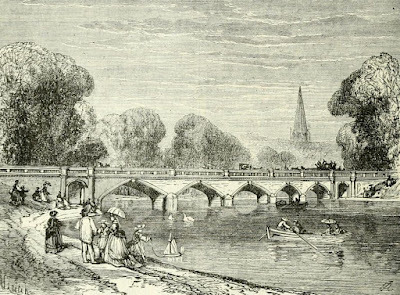 Bridgeman dammed the Westbourne River to form the Serpentine. An inclosure of this park, on the north-west corner is extremely beautiful. This spot is surrounded on three sides, by the park wall, Kensington Gardens and the Serpentine River; and on the remaining side it is divided from the main body of the park, by a fence, to exclude horsemen and carriages. In summer it is stocked with cows and deer. 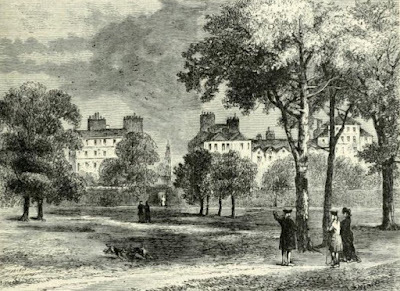 Its verdure seldom fails, and the beauty of its features appears to be greatly enhanced by the small gardens of the keeper’s lodge with which it is skirted on the side of the park, and the noble grounds of Kensington Gardens on the opposite side. 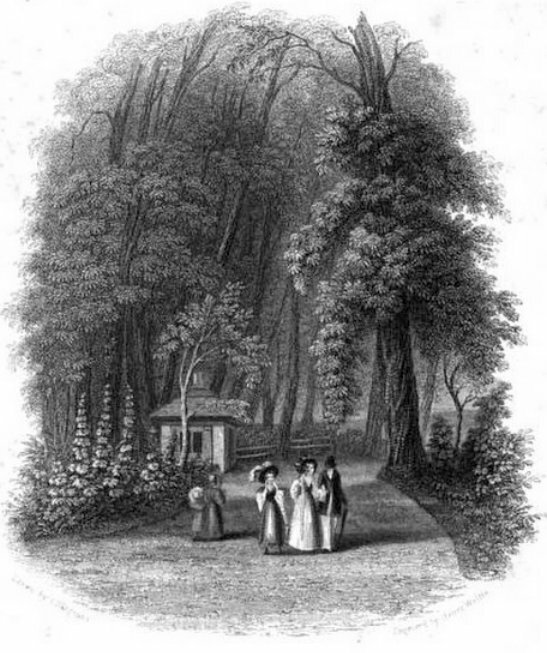 Beneath a row of trees, running parallel with the keeper’s garden, are two springs, greatly resorted to; one is a mineral water, and is drunk; the other is used to bathe weak eyes with. At the former in fine weather, sits a woman with a table and chairs, and glasses for the accommodation of visitors. People of fashion often go in their carriages to the entrance of this inclosure, which is more than 100 yards from the first spring, and send their servants with jugs for the water, and sometimes send their children to drink at the spring. The brim of the further spring is frequently surrounded with persons, chiefly of the lower order, bathing their eyes. The water is constantly clear, from the vast quantity the spring casts up, and is continually running off by an outlet from a small square reservoir. 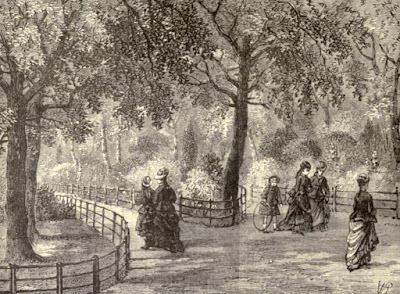 A foot-path runs across this inclosure, from the park to Kensington-gardens. 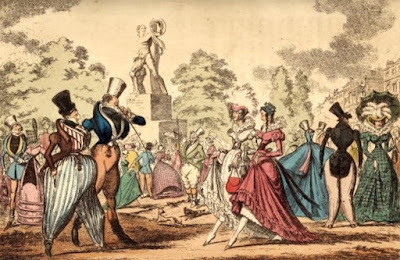 One of the most delightful scenes belonging to this great metropolis, and that which most displays its opulence and splendours is formed by the company in Hyde Park and Kensington Gardens in fine weather, chiefly on Sundays, from February till June. Spacious gravel roads, within the park, are, on a fine Sunday, covered with horsemen and carriages, from two till five o'clock in the afternoon. A broad foot-path, that runs from Hyde Park Corner to Kensington Gardens, is frequently so crowded during the same hours, with well-dressed people passing to, or returning from the gardens, that it is difficult to proceed. A noble walk, stretching from north and south, in Kensington Gardens, at the eastern boundary, with its gay company, completes this interesting scene. Numbers of people of fashion, mingled with a great multitude of well-dressed persons of various ranks, crowd the walk for many hours together. Before the stranger enters Kensington Gardens, we recommend him to pause on some spot in Hyde Park, from which his eye can command the entire picture of carriages, horsemen, and foot passengers, in the park, all eager to push forward in various directions, and on the more composed scene of the company sauntering in the gardens. Such a spot will present itself to the attentive observer more than once as he walks through the park; but, perhaps, the best situation for this purpose, is the broad walk at the foot of the bason, as it may be called, of the river, where it falls into a narrower channel. The keeper’s lodge, sometimes called the cake-house, was built around 1637, on the north side of the Serpentine. Here, it was possible to buy refreshments such as milk, syllabub and cheese cakes. The lodge was demolished in 1826. 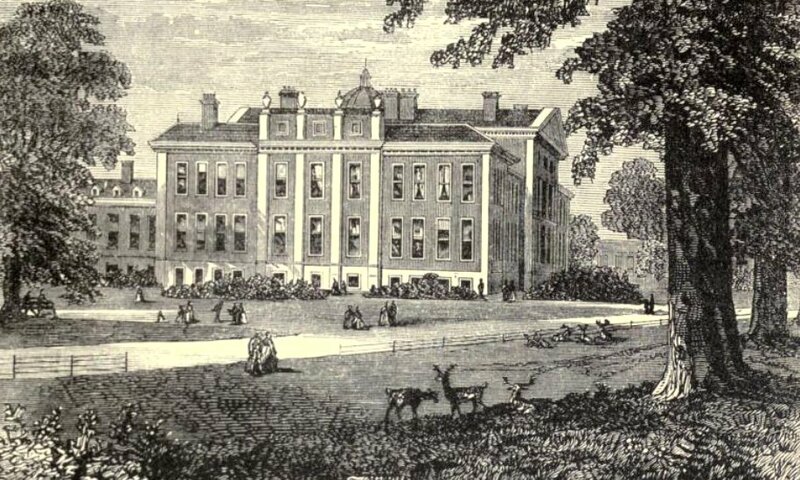 Built in 1768, the Duke of Gloucester’s Riding House was the headquarters of the Westminster Volunteer Cavalry during the Napoleonic wars. It was demolished in 1820. 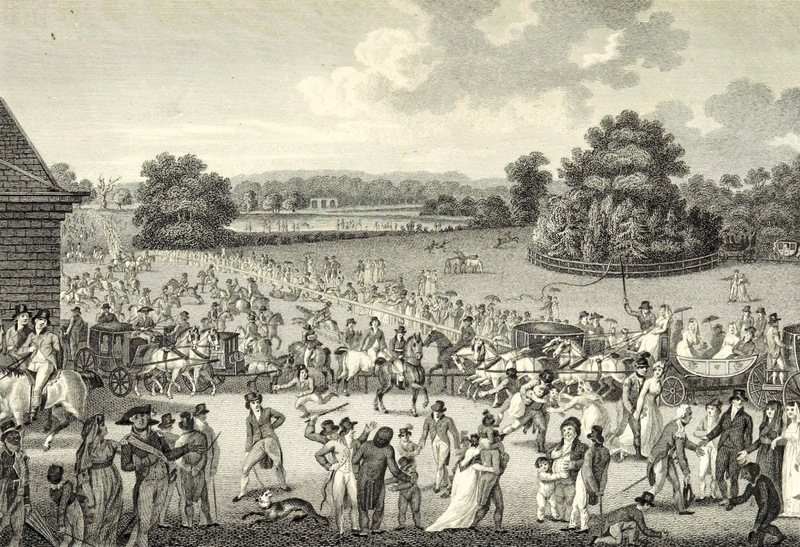 During the 18th century, Hyde Park was one of the most popular venues for settling affairs of honour. 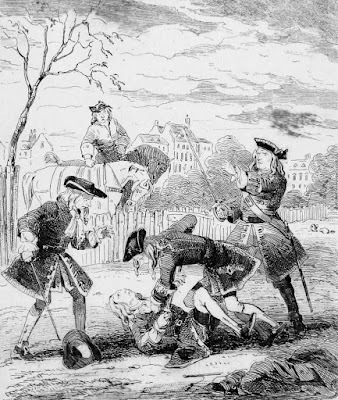 Probably the most notorious duel was fought on 15 November 1712 between Charles, 4th Baron Mohun, and James, 4th Duke of Hamilton, in which both men were killed. 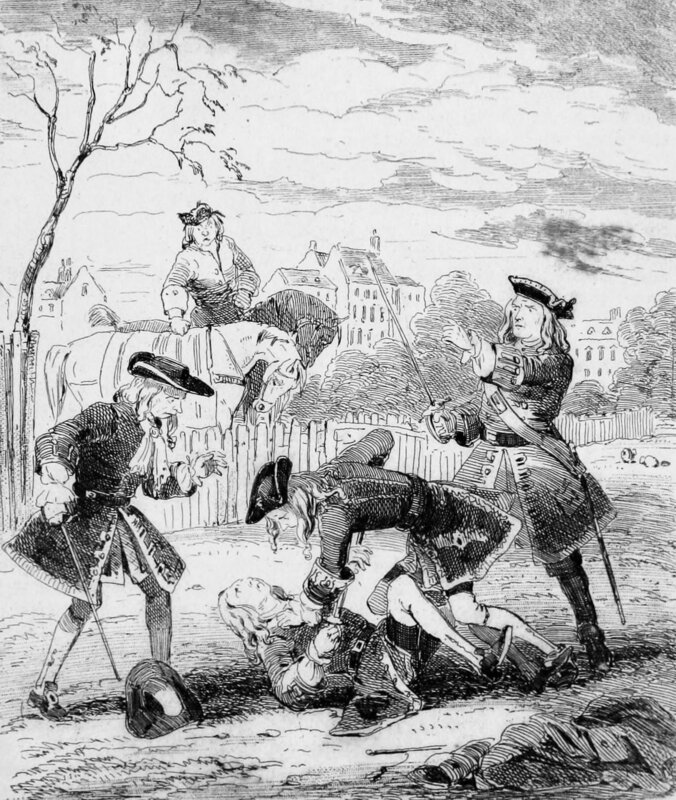 The two seconds, General Macartney and Colonel Hamilton, also fought each other, and Hamilton later accused Macartney of killing the Duke. 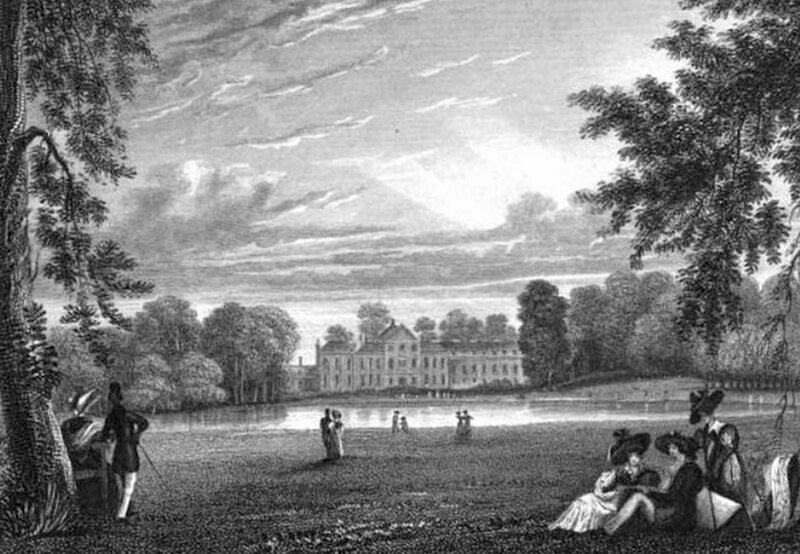 On 22 March 1780, the future Prime Minister William Petty, 2nd Earl of Shelburne, fought a duel with fellow politician Colonel Fullarton in Hyde Park, in which Lord Shelburne was injured by Fullarton’s second shot. In severe winters, when the Serpentine River is frozen over, the ice is almost covered with people. In one winter there were counted more than 6,000 people at one time on the ice. 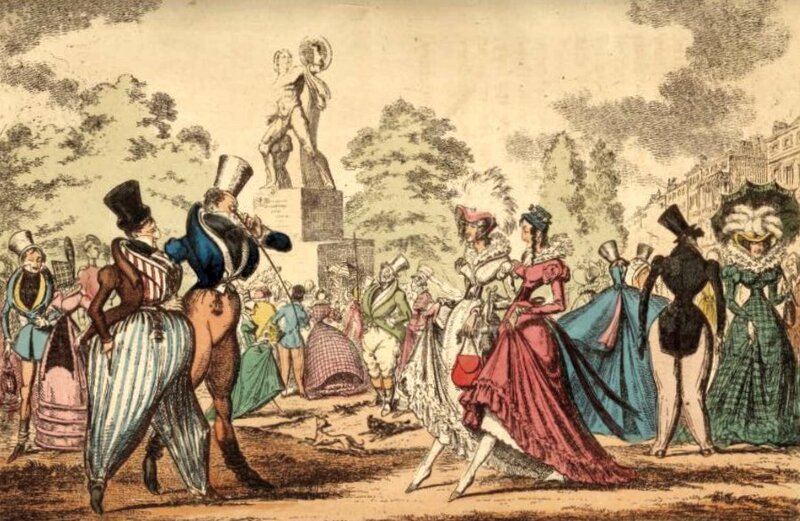 A number of booths were pitched for the refreshment of the populace; and here and there was a group of six, eight, or more, fashionable young men, skating, and describing difficult figures, in the manner of a country dance, with peculiar neatness and facility of execution. In general, however, the English do not excel in this exhilarating and wholesome exercise. Sadly, the Serpentine also attracted a number of suicides, including that of Percy Shelley’s first wife, Harriet Westbrook, whose body was found in the Serpentine on 10 December 1816. 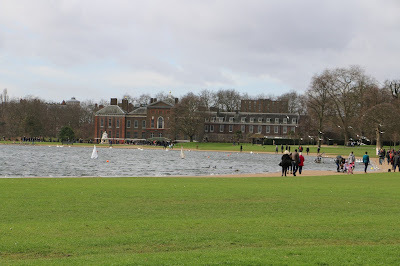 A mock naval battle was staged on the Serpentine depicting the British defeat of the French, which ended with the French fleet being set on fire. This was followed by a firework display and ‘water rockets’, and there was a grand fair which lasted all week. 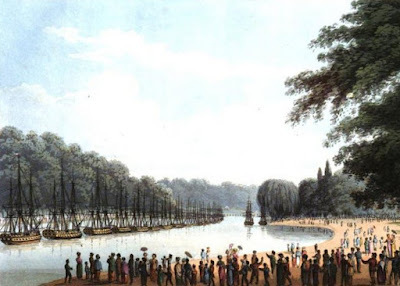 On the coronation of George IV on 19 July 1821, there was a regatta and boat race on the Serpentine followed by illuminations by coloured lamps and Chinese lanterns and a grand firework display. George IV made significant changes to Hyde Park. 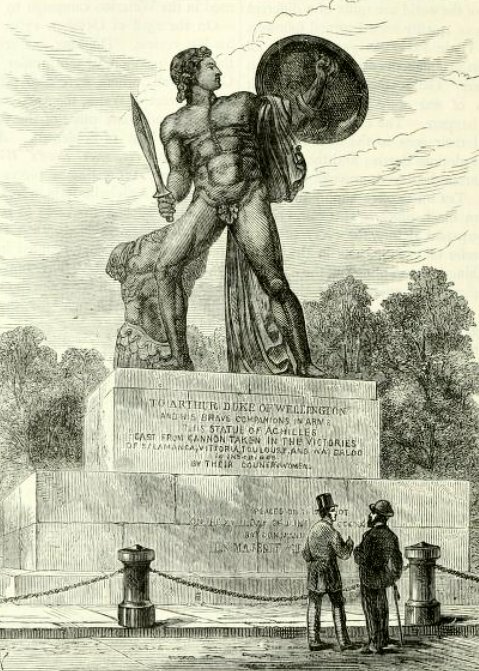 He employed Decimus Burton to erect an elaborate entrance at Hyde Park Corner which comprised the Wellington Arch and the Triumphal Screen. 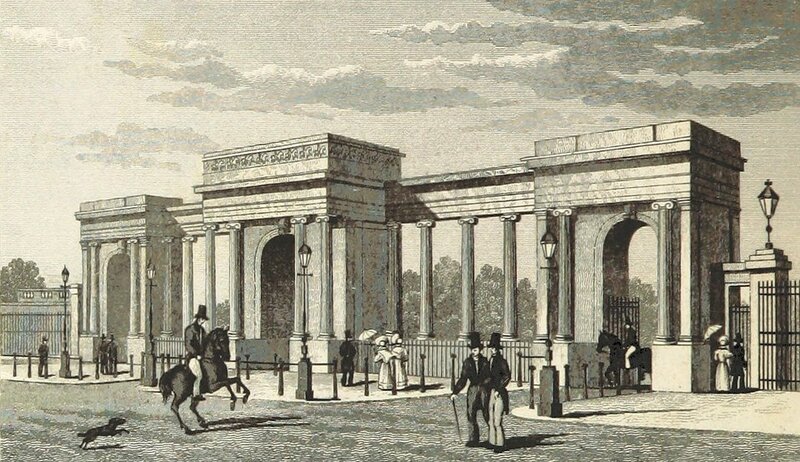 The screen remains, but the arch was moved to the middle of the roundabout in the 1880s. The brick wall around the park was replaced with iron railings. 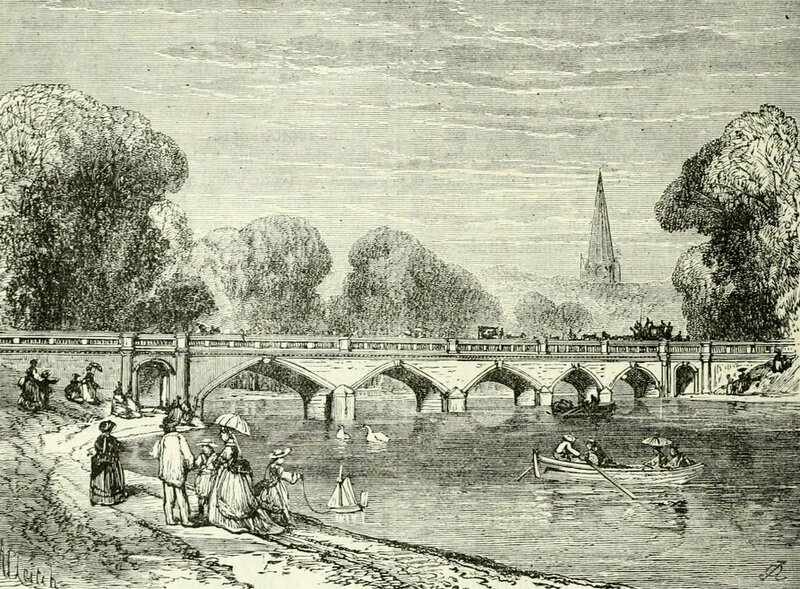 John Rennie built a stone bridge with five arches across the Serpentine, and the West Carriage Drive which passed over it became the new boundary separating Hyde Park from Kensington Gardens. Hyde Park has not altered much since Decimus Burton gave it a makeover in the 1820s. 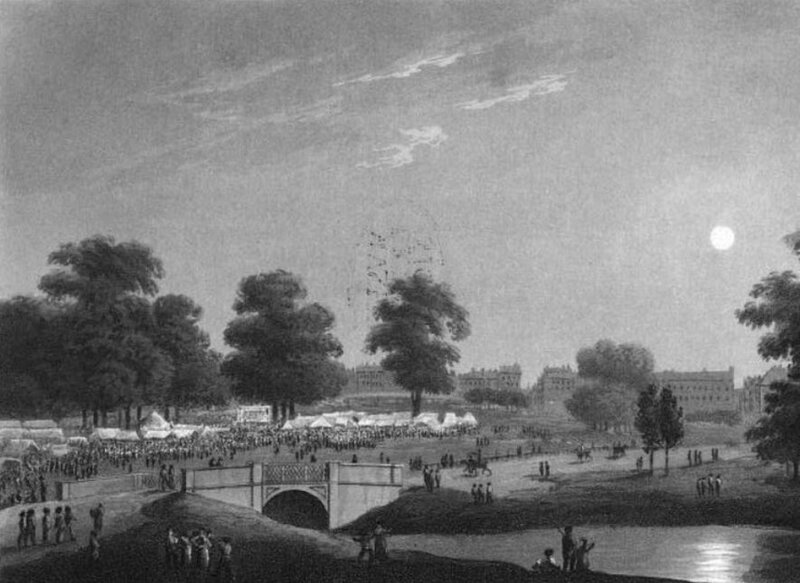 In 1851, the Crystal Palace was built in Hyde Park to house the Great Exhibition, but the change was only temporary. A few years later, the palace was rebuilt in Sydenham, where it met its untimely end in a devastating fire in 1936. One of the most famous sites in Hyde Park is Speakers’ Corner, where people have been allowed to speak freely on any subject since 1872. 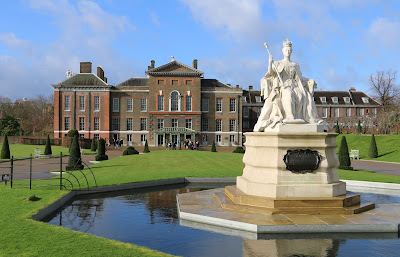 A number of statues and memorials have been added including the Queen Elizabeth Gate in honour of Queen Elizabeth, the Queen Mother, in 1993, and the Diana Memorial Fountain, in memory of Diana, Princess of Wales, in 2004. Hyde Park is open to the public every day from 5 am until midnight. 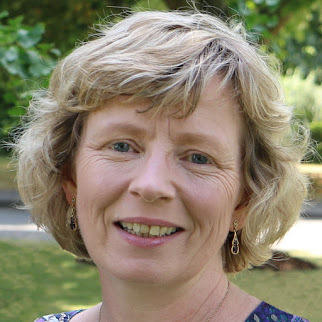 More information on The Royal Parks website. (1) Walford, Edward, Old and New London: A narrative of its history, its people, and its places (Cassell, Petter & Galpin, 1878, London) Vol 5. 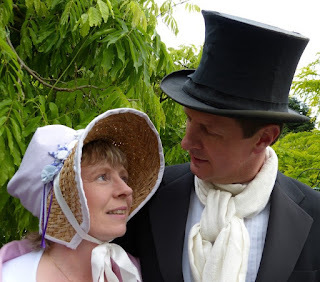 (2) Austen, Jane, Jane Austen's Letters, Collected and Edited by Le Faye, Deirdre (Oxford University Press, 1995). (3) Crosby, B, A View of London; or the Stranger's Guide through the British Metropolis (Printed for B Crosby, London, 1803-4). (4) Feltham, John, The Picture of London for 1813 (1813). (6) Feltham, John, The Picture of London for 1810 (1810). (9) Sheridan, Richard Brinsley, Pizarro (1799). 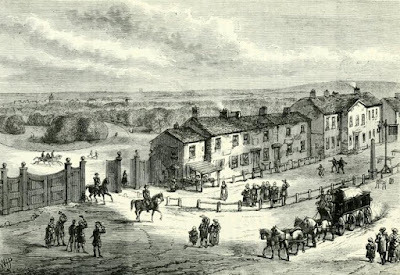 (10) Feltham, John, The Picture of London for 1810 (1810). (12) Feltham, John, The Picture of London for 1813 (1813). 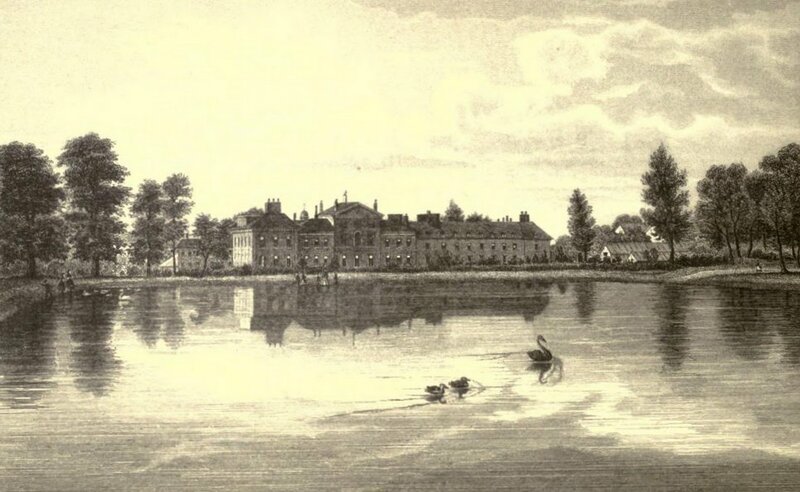 (13) Feltham, John, The Picture of London for 1810 (1810). (14) Walpole, Horace, Letters of Horace Walpole to Sir Horace Mann in 4 volumes (1844) vol 4. (15) Steinmetz, Andrew, The Romance of Duelling in All Times and Countries (1868). (17) Feltham, John, The Picture of London for 1810 (1810). (19) Orme, Edward (ed), An Historical Memento (1814). (20) Pichot, Amédée, Historical and Literary Tour of a Foreigner in England and Scotland (1825) Vol 1.